Safety Supplies Canada is a certified distributor of FirePro Systems. FirePro Fire Extinguishing Aerosol Systems, the leading brand in the condensed aerosol firefighting industry, is now available and ULC certified for the Canadian markets. 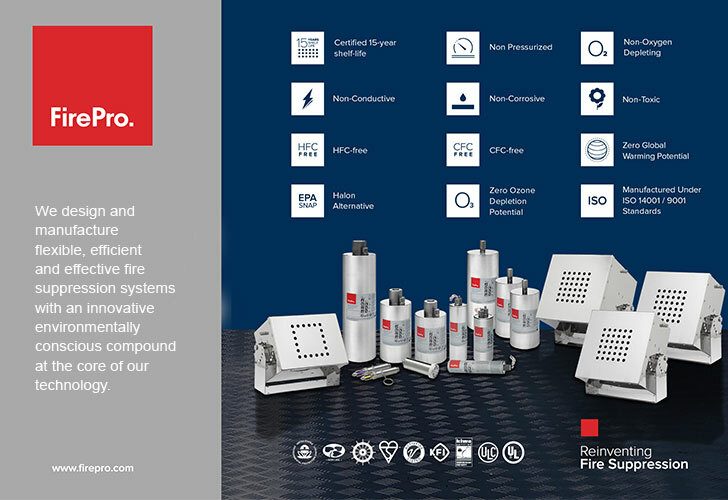 Focused on cost efficiency and driven by the highest standards in quality all over the world, FirePro is the environmentally friendly option for asset fire protection. FirePro has globally reinvented the Fire Suppression industry. Total flooding action to extinguish fire at source - Leaving little to no residue! Safe for the environment - Non-toxic, HFC & CFC Free, ISO 14001 Certified, No Oxygen Depletion! Please contact us for more details at firepro@safetysuppliescanada.com, or peruse our FirePro Systems Info Sheet and visit www.firepro.com to see more product imagery.